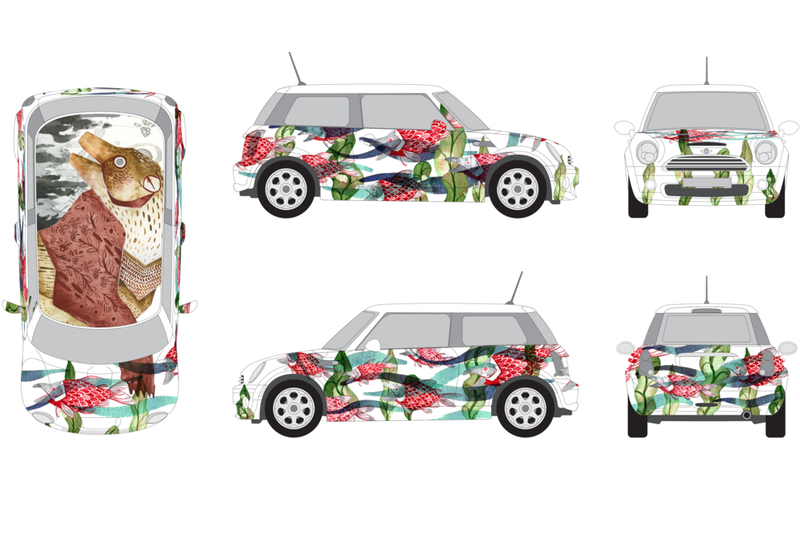 The KC Auto Show approached MICRO to create decal wraps for three BMW Minis. Three design finalists from members of the Spring 2016 class were printed and installed onto cars by Wrap It Up, a car service company based in Lenexa. The resulting BMW Minis were displayed at the 2016 Art of the Car event, where attendees voted on their favorite design.